FRANKLIN — A new market leadership team has been announced following the affiliation this summer of DeKalb Community Hospital (DCH) and Stones River Hospital (SRH) with Capella Healthcare. The new partnership united the two hospitals with Capella's White County Community Hospital (WCCH) to form a new regional entity designed to broaden care in the Upper Cumberland Plateau. Bill Little, who has served as Chief Executive Officer (CEO) for DCH and SRH since July 2009, has been promoted to Market CEO with responsibility for all three hospitals. Chief Financial Officer (CFO) Sarah Clark has moved up to Market CFO for the new entity and Eric Phillips, formerly Chief Nursing Officer for DCH, has been promoted to Market Chief Operating Officer (COO). Each of the three hospitals has a Chief Nursing Officer (CNO), with Karen Hickey at Stones River Hospital, Robin Byler at White County Community Hospital, and Rick Gillentine joining DeKalb Community Hospital this month. Bill Little, a native of Smithville, served as Chief Operating Officer at Cookeville Regional Medical Center prior to joining DCH and SRH. Before that, he spent five years serving as Vice President of Financial Operations at Vanguard Health Systems in Arizona. 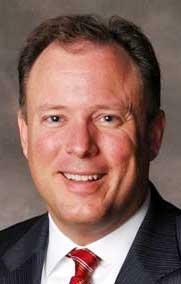 While there, he also served as the Chief Financial Officer for Arrowhead Hospital and Medical Center in Glendale, AZ. Little obtained his B.S. degree in Business Administration from Tennessee Technological University. Sarah Clark also worked at Cookeville Regional Medical Center prior to joining DCH and SRH, serving as Director of CRMC's MSO, where she directed operations for all of their employed physicians. Prior to that she was a principal in an accounting firm providing consulting and accounting services to physicians and other small businesses. She spent ten years with HCA working at the corporate office and in two facilities, Smyrna Medical Center and Livingston Regional Hospital. A Certified Public Accountant, Clark earned her B.S. degree in Accounting from Tennessee Technological University. Prior to his promotion to Market COO, Eric Phillips served as CNO for DCH since 2009. Before that, he held nursing supervisor positions at Cookeville Regional Medical Center, University Medical Center (Lebanon) and Centennial Medical Center (Nashville). Phillips began his career in healthcare as a paramedic. He earned a bachelor's degree in emergency management from Western Carolina University and a law degree from the Nashville School of Law. A decorated veteran, Phillips served with the U.S. Navy for four years in Sea Air Search and Rescue (Waterborne Rescue Operations), earning numerous awards. Rick Gillentine, RN, joined DCH on September 1 as Chief Nursing Officer. He previously worked for StoneCrest Medical Center in Smyrna for seven years in a variety of positions, including Community Navigator, Disaster Preparedness Coordinator, and Assistant Director of Emergency Services. Gillentine also worked in nursing at Centennial Medical Center and Saint Thomas Hospital in Nashville as well as River Park Hospital in McMinnville. He earned a bachelor's degree in nursing from Belmont University. Karen Hickey, RN, has been CNO at SRH since 2010, overseeing all clinical departments and serving as program director for the geriatric psychiatric unit. Robin Byler, RN, has been CNO at WCCH for five years, assisting with the hospital's transition to Capella Healthcare in 2008. "We are excited about the strength of this leadership team and the opportunities they have before them to expand and enhance services throughout the region," said Mark Medley, President of Capella Healthcare's Hospital Division. "All three hospitals have a rich history of providing high quality care and excellent service for their communities. We are confident they are well-positioned for success in the coming years."